Owing to the transparent and ethical business policies, we have been able to conquer the trust and satisfaction of our clients. 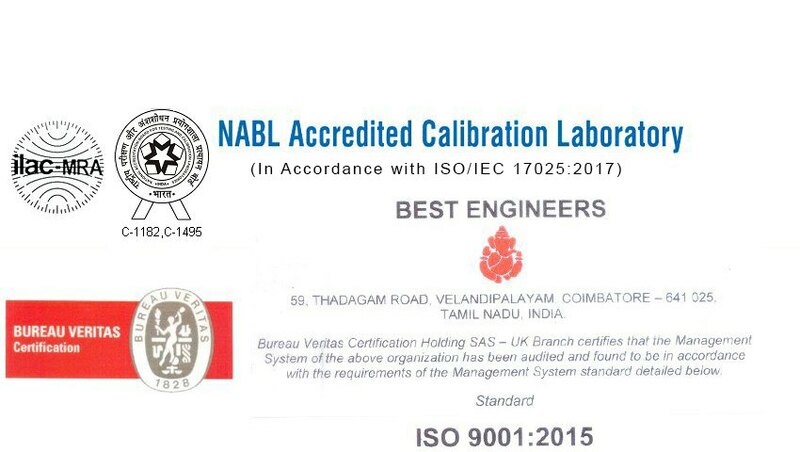 The products we offer to our clients are widely used in varied mechanical industries and are in accordance to national as well as international quality standards. We offer only flawless products to clients by testing their quality on various international quality parameters. 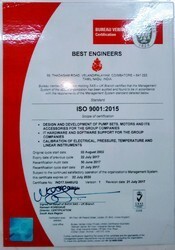 owing to all this reasons and some other also we have achieved various awards for gaining maximum faith of our clients. 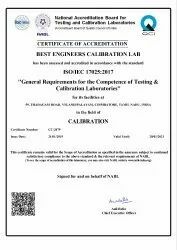 BEST ENGINEERS CALIBRATION LAB is accredited by National Accreditation Board for Testing and Calibration Laboratories (NABL), India & follow the implemented Accreditation standard ISO/IEC 17025:2017.